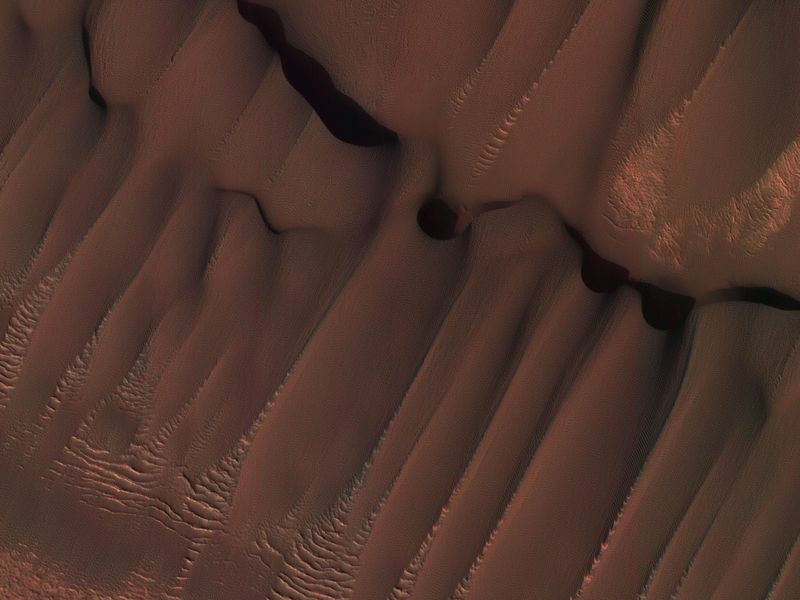 This dune field formed near the base of the North Polar cap. 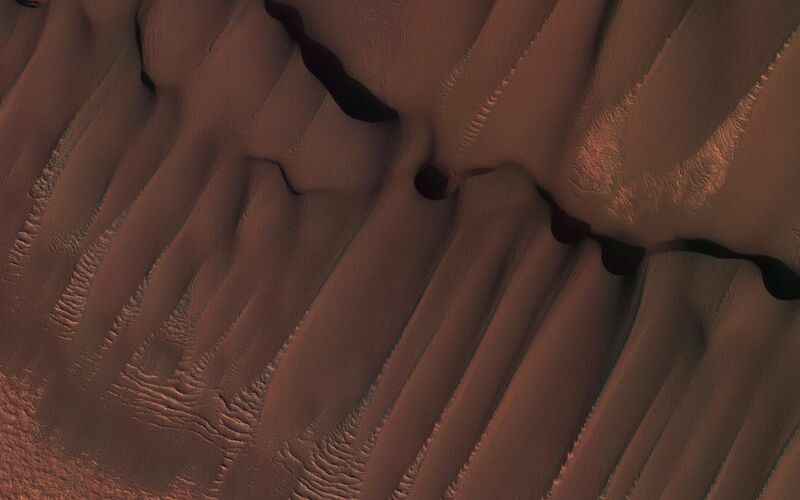 Dunes require a source of loose particulate material to form. The source of the northern dune fields around the polar cap may be from the layers of dusty ice that are eroded by strong polar winds. This image was taken during the Martian northern summer, so there is no frost present on the dunes. The dunes closest to the base of the polar cap are long and parallel, indicating strong winds from the direction of the cap. 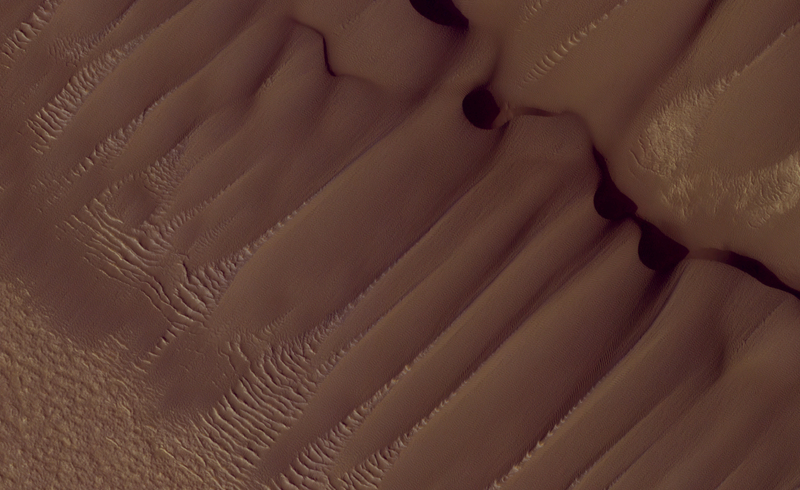 As they get farther away from the polar cap, they start to form more crescent shaped dunes, called barchan dunes. 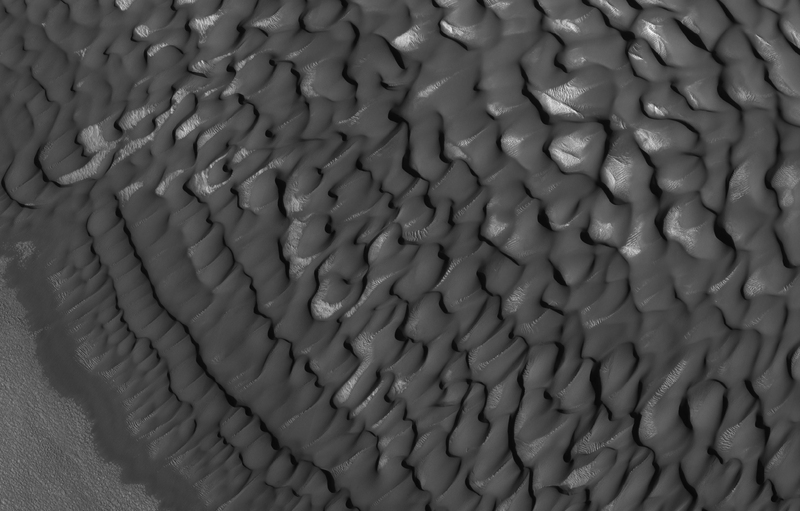 Repeated observations by HiRISE of dunes like these show measurable changes in some locations. This discovery adds to the growing evidence that there are active processes happening all over the surface of Mars today.